Creating SaaS products is a roller coaster process. You feel top of the world introducing your idea. But time goes by and nobody fights to get hold of your product. There are several “why” it could happen. Make sure that your product is good, in time and wow-promoted. If all the above is Ok then there must be something else impeding your sales go high and your customers freeze in admiration. So, if your product is at “No way” stage you’d better think of education as your best investment. Provide for showcasing your product's best features and expand with your clients on how to enjoy them. You can do it in various ways. 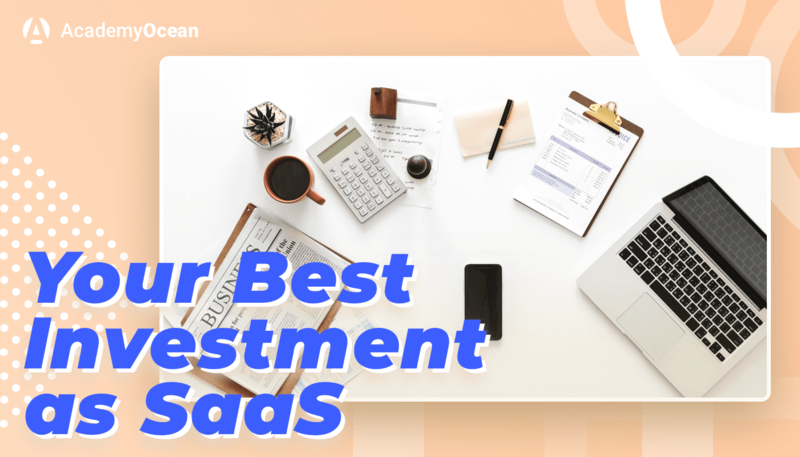 Here are 5 examples of companies that proved to be real experts promoting customer success through online education and training when it comes to SaaS. OfferCraft has tested webinars, training videos and in-person sessions until they came up with the conclusion that the format working best for them is gamification. Having fun is the best retention strategy ever in their case. People enjoy it and promote it even further at the level of "word-of-mouth marketing". Montage is a SaaS video and voice interviewing company catering to the F500. As soon as it seizes a new client it gets a lot of new recruiters to train. First, they filmed large 90-minute video sessions, but recently they decided to divide them into shorter ones and thus release them more often. Montage's success is based on using its own product as the educating platform. “Our trainers are on camera; they share their desktops. The trainees can be on camera too. This makes it convenient and gives people early, easy, guided hands-on time with the software,” says Michele Ellner, director of marketing at Montage. They help recruiters to engage with candidates more efficiently through features and functionality Montage can offer thus solving daily problems Hrs come across. Mobile CRM app ForceManager provides a training service to individual platforms and operating systems that can be reached through mobile devices. It provides online 30-minute video training sessions for one client. You can use an open calendar, a self-service library of video lessons and an online user guide indexed by topic. Users are also offered a free webinar specific to each OS, which provides a basic information they may need to install and start using the app. The company keeps its customers updated as to new features by means of webinars where users may ask any questions. The app is available in English and Spanish. Passport provides cloud-based parking and transit solutions. It has developed a special four-step approach to training its customers. Operations Management Portal – that's the platform where their customers can get hold of an online library of videos and dynamic FAQs aimed at functional questions from operators. Customization by a customer – clients choose roles and according to them may customize their experience by selecting the features relevant only to them. They can also remove all unnecessary tools and choose the feature set they need. Train the trainer – that's a special feature which gives the possibility to create a super mentor. He can create a smaller group which can spread the knowledge to the rest. They also provide both webinar and telephone training, in addition to on-site training upon request. Handoff to client success – training is conducted by the same person who will be supporting the client in the future. It helps them to get to know each other better and strengthens their future cooperation. If your customers can't boast confident surfing within your product's features, this is the best option! We’ve created a marketing SaaS platform which provides an interactive way to acquaint your customers with your products. At your website, you may create a section, the so-called Academy, and grant them an access to it. There will be a step-by-step course comprised of lessons about your product which they will pass online. we compile a training course on the basis of our platform + tests or quizzes for your customers. Its usability is high and the user experience is great as you may adapt it specifically to your customers' preferences and needs. 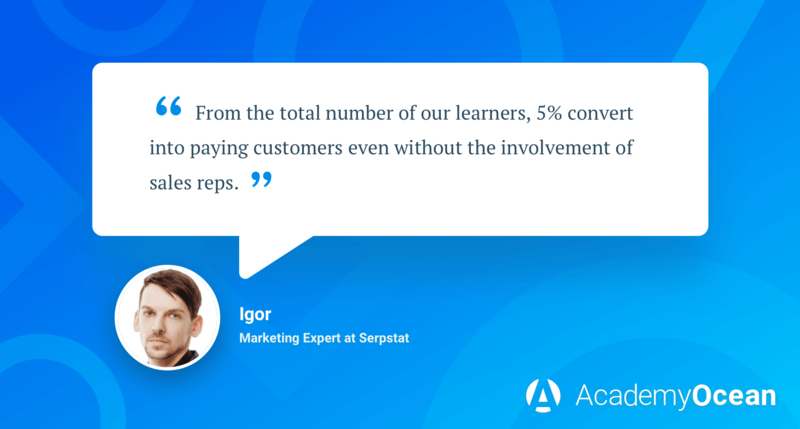 The case study of Serpstat: Our client, Serpstat, created Serpstat Academy to educate their clients on how to improve their SEO techniques by means of their online tool. Now every month they enjoy a steady inflow of leads and customer acquisition due to their Academy. Long-term marketing strategy is a must for SaaS startups. Supported by a smart content and promotion it can drive new clients to you. But that's only half the deal. As from now on your task will be to turn your potential followers into passionate customers. And thus education is your best investment ever.